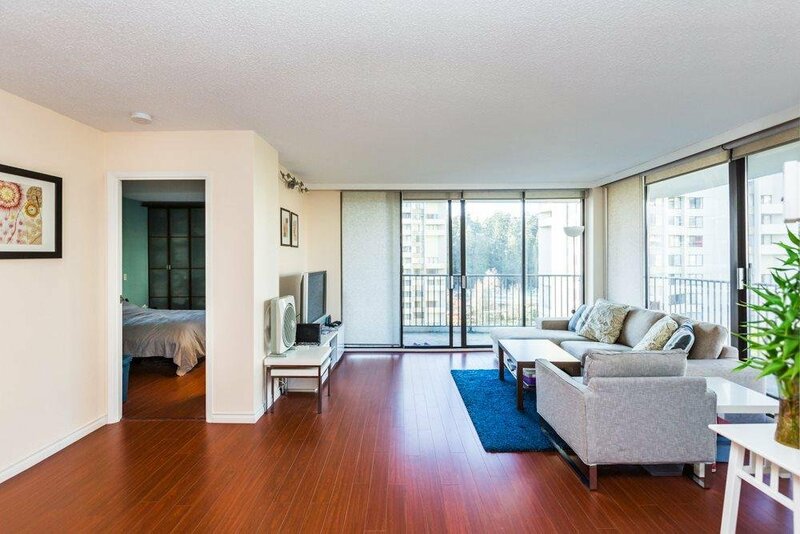 Central location with beautiful VIEWS of Central Park & city! 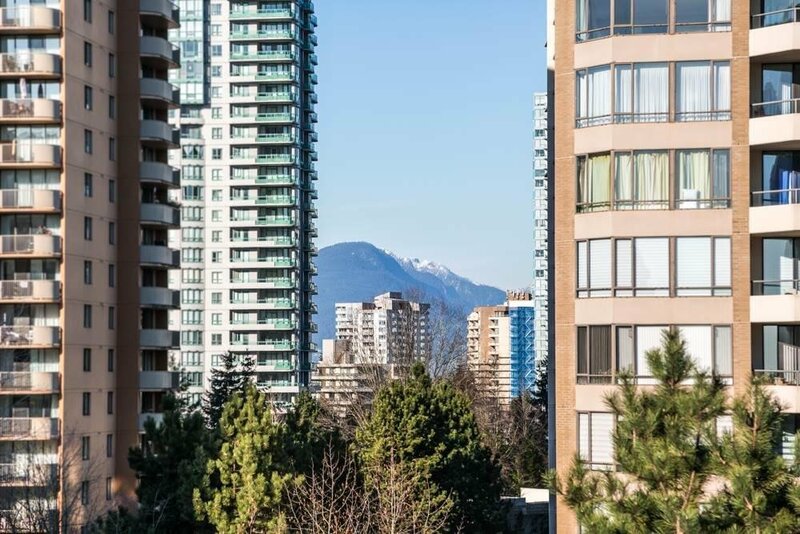 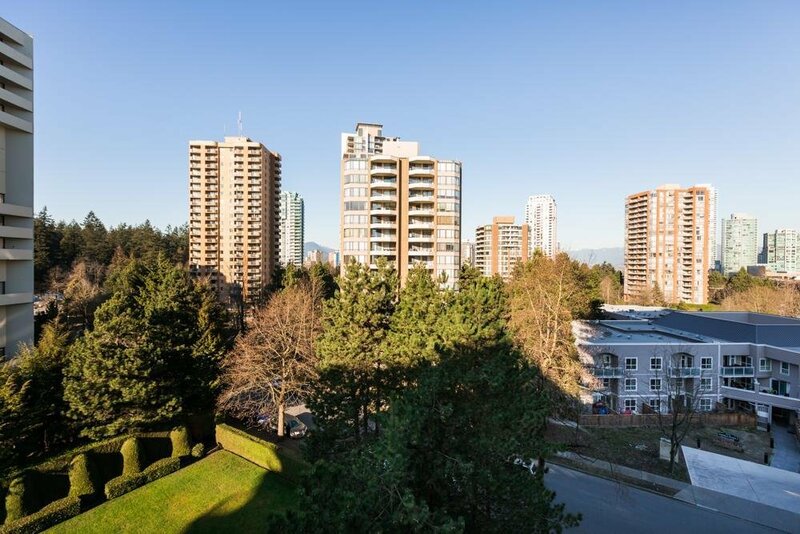 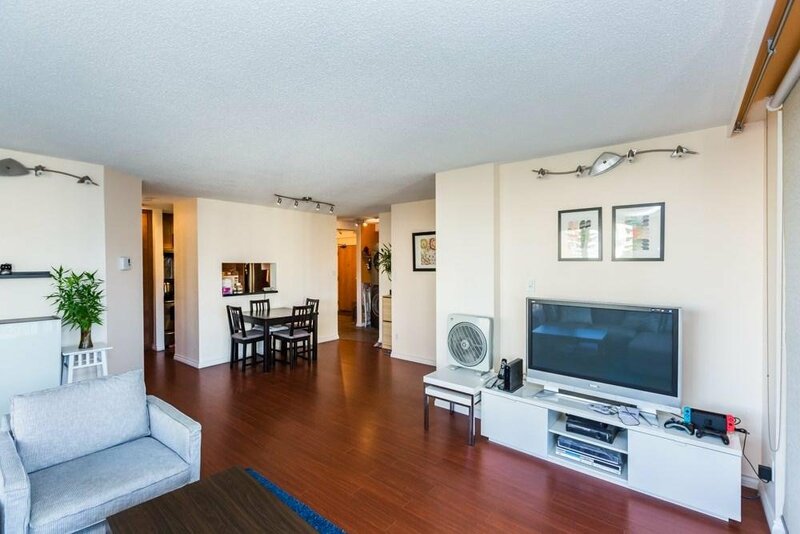 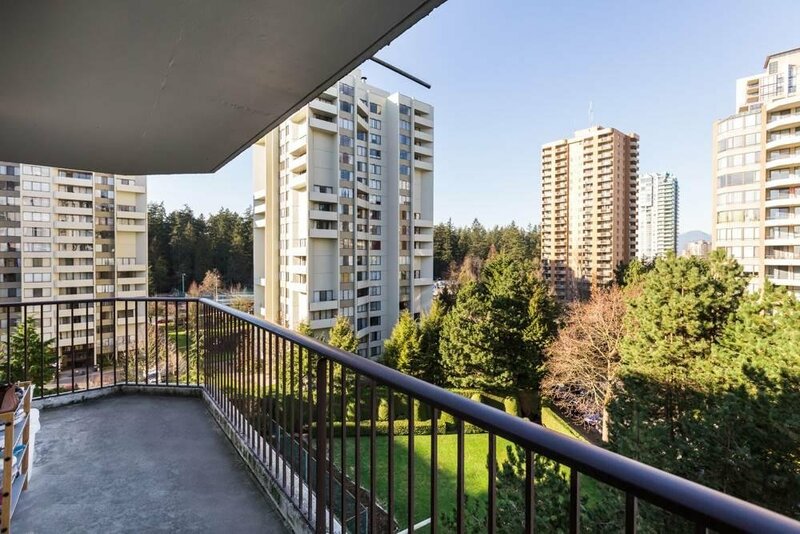 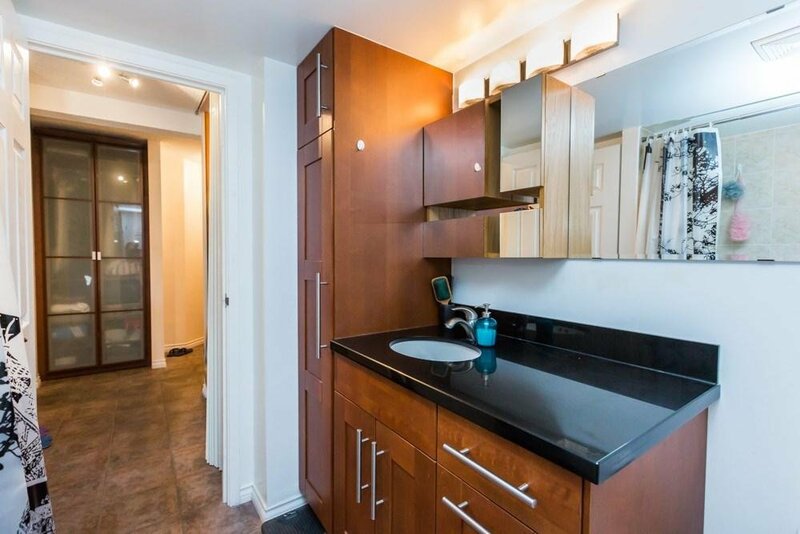 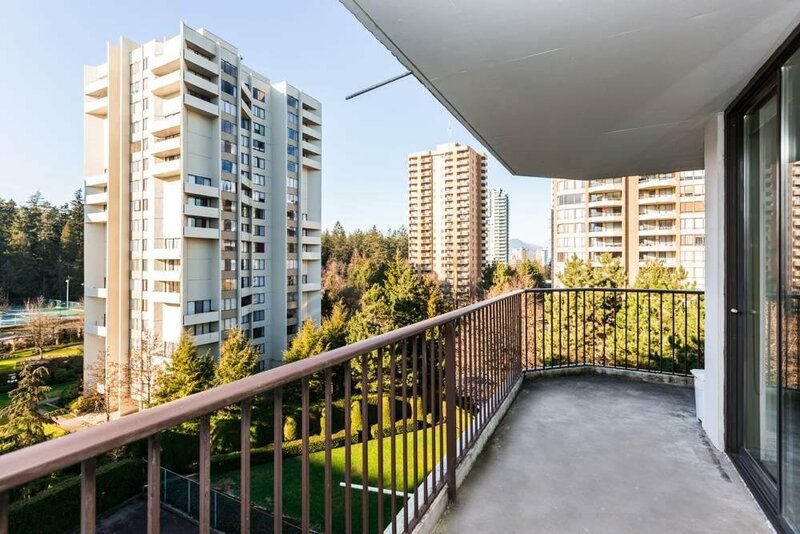 Amazing NW corner 2 bedroom/1 bath unit with WRAPAROUND BALCONY! 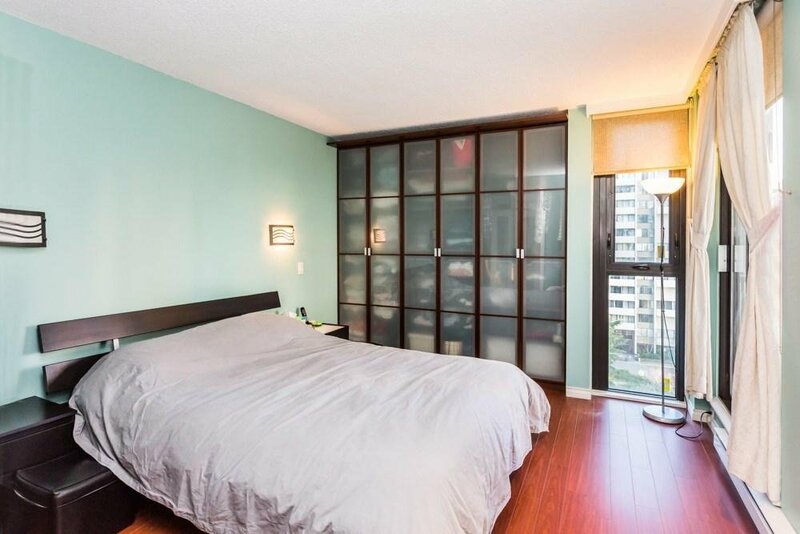 Floor to ceiling windows to maximize natural light and views. 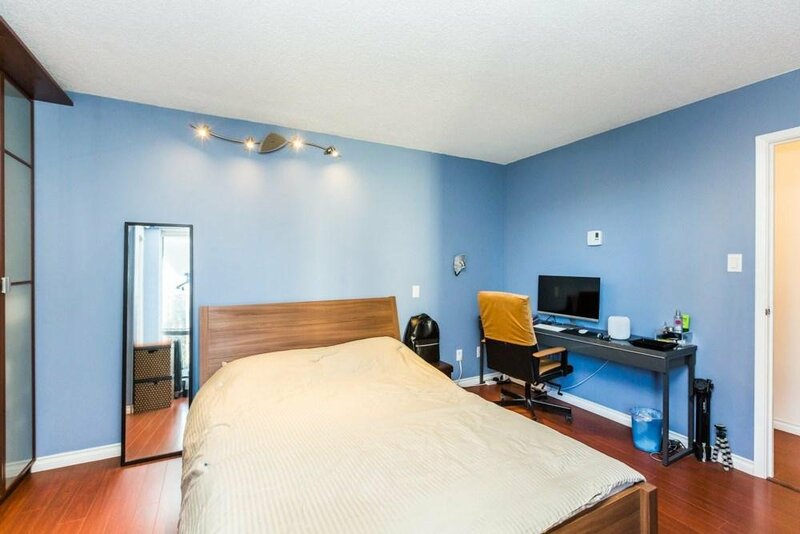 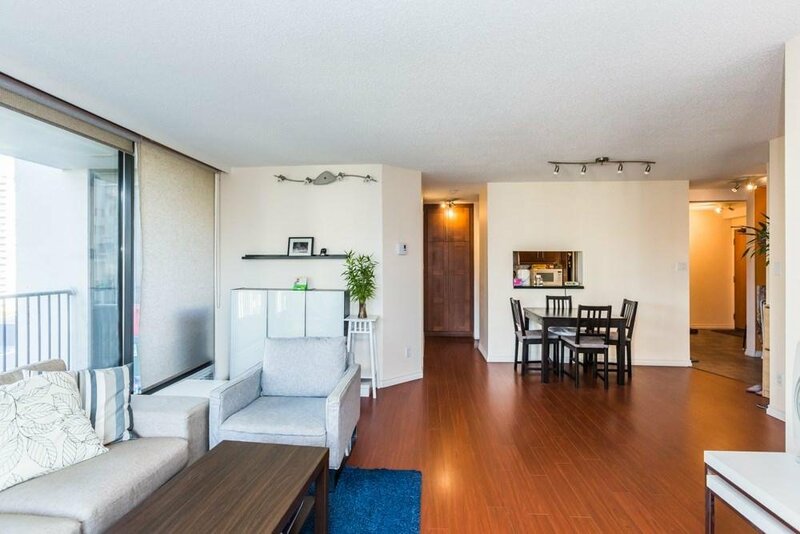 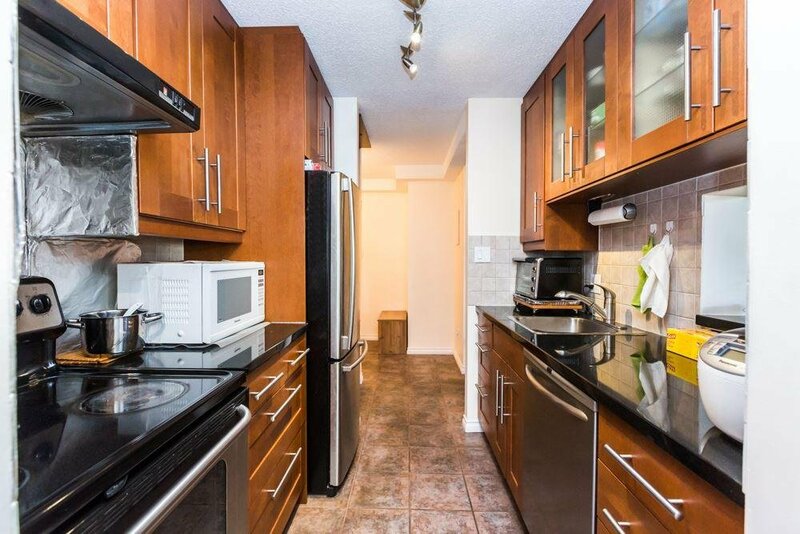 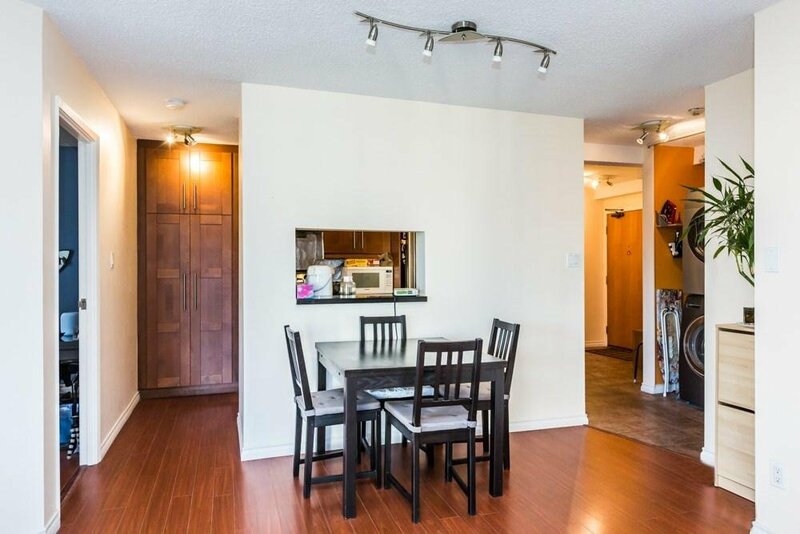 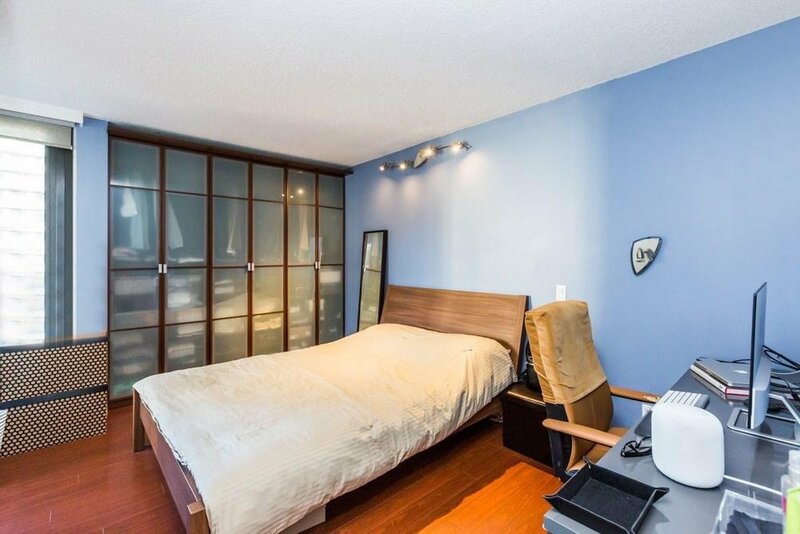 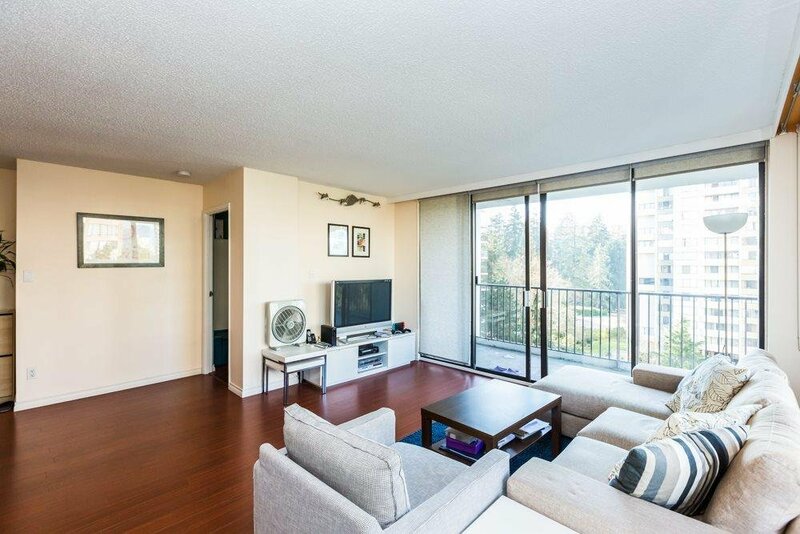 Enjoy the convenience of shopping, many restaurants and entertainments in this Metrotown location. 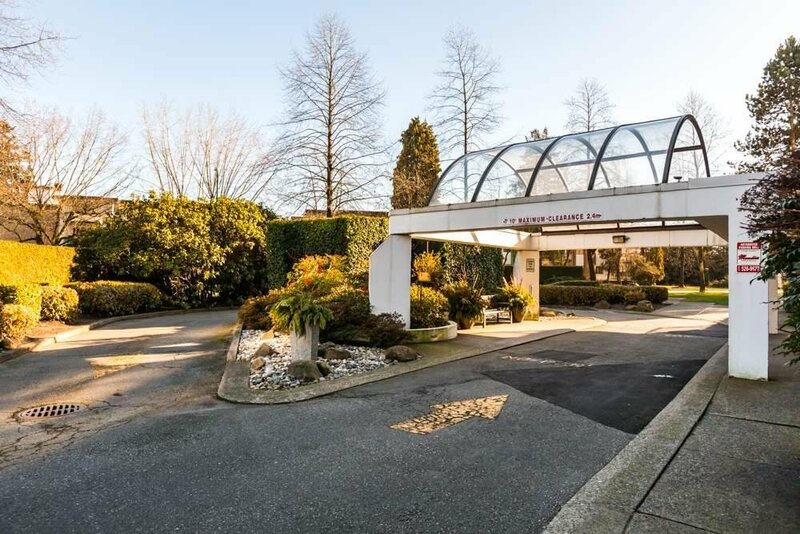 Close to skytrain, Bonsor Recreation Complex and Burnaby Public Library. 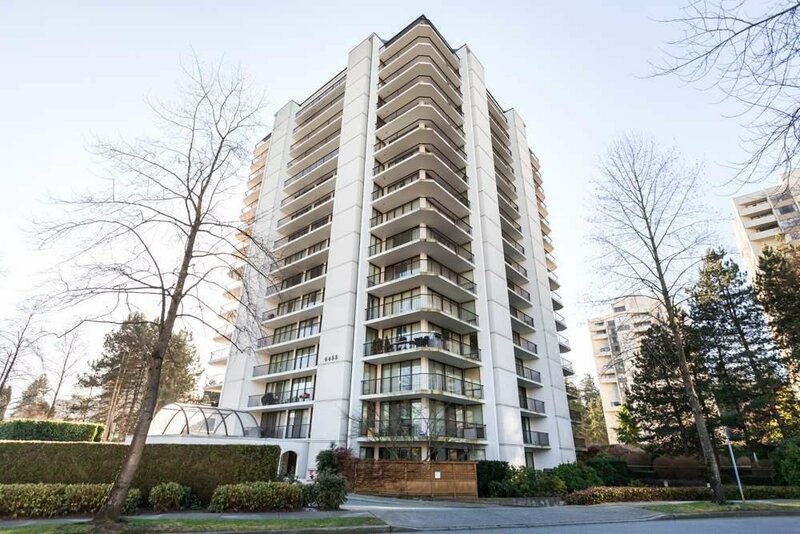 Building has been rainscreened, re-piped, new elevators and updated lobby with on-site caretaker. 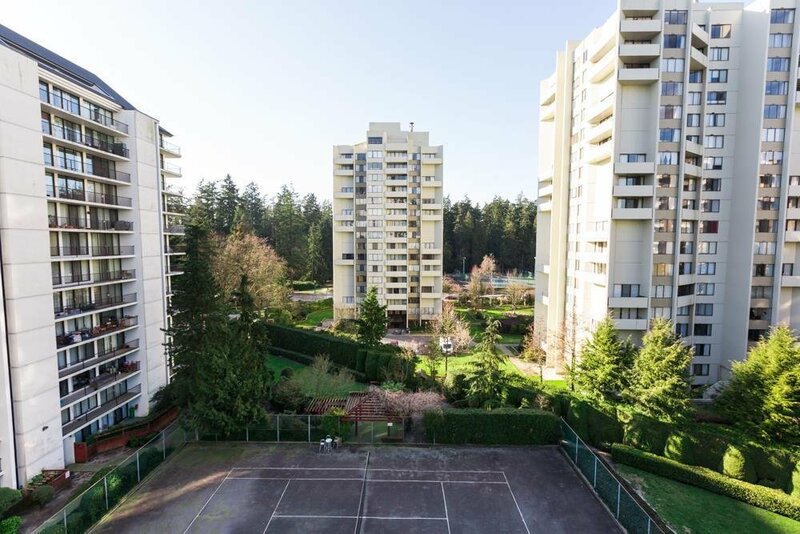 Available amenities include exercise room, library/meeting room and private tennis courts. 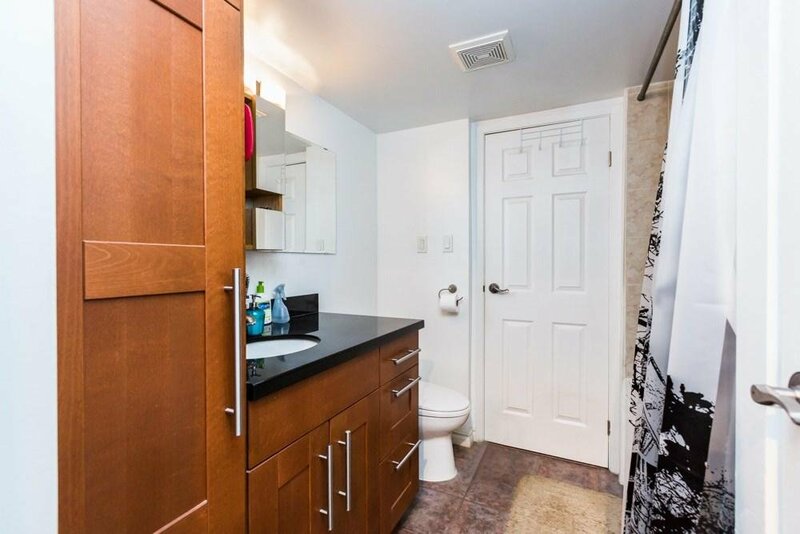 This unit comes with 1 parking & 1 locker.